The GBBO final will be out of the famous tent. The Great British Bake Off, which was first aired on television in 2010, will be spending its first final outside of the famous marquee tent. The 2018 final will be between Kim-Joy, Ruby and Rahul. The winner will be crowned - and will win flowers, a cake stand and a sense of pride that they made it to the end - and won! All finalists have won star baker twice throughout the series, so the competition will be tough. During the final, they will spend some time in the tent, where they will bake doughnuts, for the furniture challenge. However, for the technical challenge, bakers will be required to perform a task in a different location. This location has not yet been announced. However, Channel 4 added that it is 'deceptively simple'. 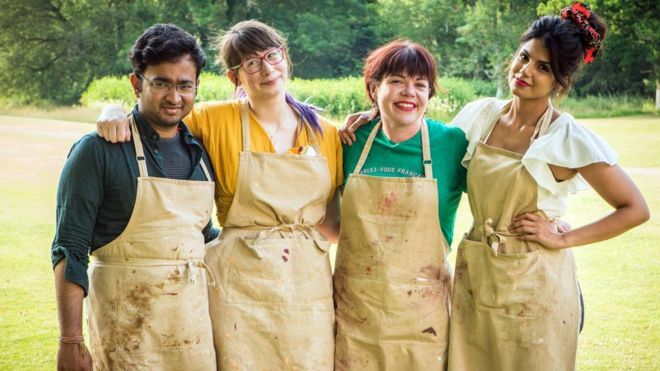 This final comes two years after The Great British Bake Off lost rights from the BBC, re-locating the show to Channel 4. The series has proved a hit and a worthy investment for Channel 4, as they have attracted a wide audience of 8 million viewers. I agree with you cameron. i've stopped watching eairler in the series.